Handwriting at Oakwell Rise Academy! Good handwriting is an essential skill in the quest to spell and write fluently, confidently and competently. A joined handwriting style links kinaesthetic ‘muscle memory’ with the relationship between the sounds of our speech and the letter shapes, letter groupings and whole written words. The ability to write neatly can raise self-esteem and provides a motivating factor in the production of written work. We have high expectations of handwriting at Oakwell Rise and it is taught using a traditional cursive script. The teaching of the print form begins in Foundation Stage, with joined handwriting taught from Year 2 onwards. The style is designed by Debbie Hepplewhite specifically for teaching purposes and it works exceptionally well to provide a fresh start in joined handwriting for older pupils. The diagonal line joins soften as the writer becomes increasingly fluent. The style is taught as separate letters at first – not letter strings – and all the letters with their diagonal lead-in joins are taught to proficiency and automaticity before starting to join the letters into words. It is preferable to provide opportunities for intensive daily practice rather than one lesson per week. Handwriting is therefore taught on a daily basis and modelled by all staff when they are modelling writing for children, marking work and on display. The style is taught as separate letters at first – not letter strings – and all the letters with their joins are taught to proficiency and automaticity before starting to join the letters into words. It is important to teach the letters which start like the letter c to fluency before the other letters. For the subsequent letters, we describe and model how to form each letter paying careful attention to the description of how to form the letter (where to start, the route to take and the finish point of the formation) as well as the orientation on the line (size and position on the line in relation to other letters). Upper case letters are print letter shapes which do not join other letters. We teach that capital letters start from just below the upper writing line. When writing a whole word which requires a capital letter at the beginning, a small space is left after the capital letter and the second [lower case] letter starts ‘on the line’ with all subsequent letters in the word are joined. 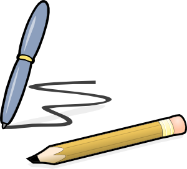 We teach the traditional tripod pencil grip and ensure that younger learners establish good habits in their pencil grip and position for writing. The writing hand should rest lightly on the paper below the words being written so that the words are not obscured. The paper may be tilted slightly to the right (for right-handers) or to the left (for left-handers) to increase comfort. The spare hand keeps the paper secure.